New Cloud Hosting Product Range Launched! We are pleased to announce the launch of our New cloud hosting product range. Our new cloud hosting range of servers gives you the ability to manage Linux-based and Windows-based Cloud Servers. The prices for our Linux-based Cloud Servers starting from as little as R99pm and Windows-based Cloud Servers starting from R399pm. We have carefully thought out all resources for each server, so if your need for more resources increases, moving up to a more resource plenty server is easy. 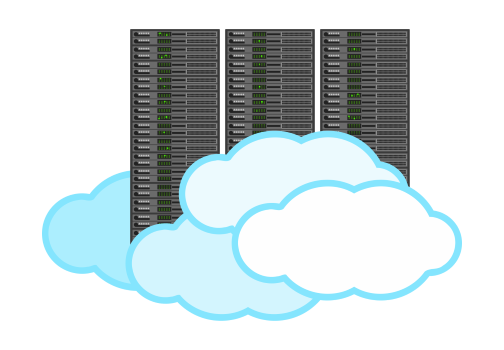 Contact us and easily upgrade your cloud server when needed. Each server makes use of SSD Storage with gives you the quickest possible disk read and write speeds and delivering the best possible performance available. Storage devices have long been a bottleneck in servers, laptops, and desktop computers and this is why we’ve decided to make use of SSD Storage in our servers. We’ve decided to use only the best hardware. Instant Setup! Provisioned within minutes. Hosted locally in South Africa, this means all our servers have low latency and the fastest possible access to them. Our premium unlimited bandwidth has no shaping. With multiple international and local uplinks including direct links to Seacom, NAPAfrica, and CINX giving you best possible redundancy. Full Administrator access available on Windows-based servers via Remote Desktop and full root-level access on the Linux-based servers. Easily manage your server from your client area. You are able to stop, start, restart your server, view bandwidth usage etc and more. No over provisioning occurs. This is an important point! Normally other providers will squeeze as many resources onto of their hardware as possible, not with us, Our customers always come first. GP Hosting is extremely proud to have the ability to deliver a world-class product to all our customers. We always try our best to cater to everyone’s needs, this is why we have additional resources are also available on request. There are additional IPs available at R50pm per IP and extra SSD storage @ R120 per 50GB. For Windows-based cloud servers, we provide a choice between Microsoft Windows 2016 and 2012 operating systems. Linux-based cloud servers have Centos, Ubuntu, Fedora and Debian operating systems available for you to choose from. I am interested, where do I find them? If you are interested in Windows-based Cloud Servers, find them here. Or if you find yourself interested in Linux-based Cloud Servers, you can view our Linux options here. Please submit any questions you have to us via our contact page or why not chat with us on Live Chat! Like us on Facebook or follow us on Twitter to keep up to date with all the latest GP Hosting News! P.S Stay Tuned! We will announce more exciting news soon! Next: Next post: 5 Reasons Why Your Business Needs an Online Presence! Need help with something? Our KnowledgeBase can help! New Linux Web Hosting Product Range Launched! 5 Reasons Why Your Business Needs an Online Presence! Happy Customer on We now support recurring billing via PayFast!